Value-based health care is around the corner — or are we supposed to be already living it? The uncertainly in the health care world today has caused many healthcare organizations to slow or stall their efforts to prepare for risk-based medicine. 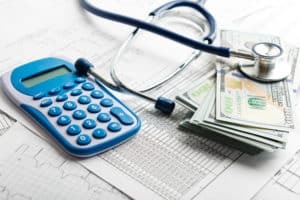 A Deloitte survey found more than 80 percent of physicians still received compensation under fee-for-service models or salary arrangements as of 2016. In comparison, physician participation in value-based payment models only increased 5 percent in 2016 from the year prior. 2. Foster strong payer relationships. 3. Understand how you’re paid and how you collect. 4. Create a single, integrated budget. 5. Use technology to streamline the process. Uncertainty or not, streamlining the revenue line stream between health insurance companies and patients to healthcare providers won’t happen by itself. OrboAccess technologies will prepare your medical organization for rough waters, uncertainty or not! Better information gathering & retrieval and lower costs per claim – – one leads to the other, in spite of whatever uncertainly looms.